Gentoo init – boot from linux software raid with superblock (metadata) version 1.2 and no autodetect | Any IT here? Help Me! 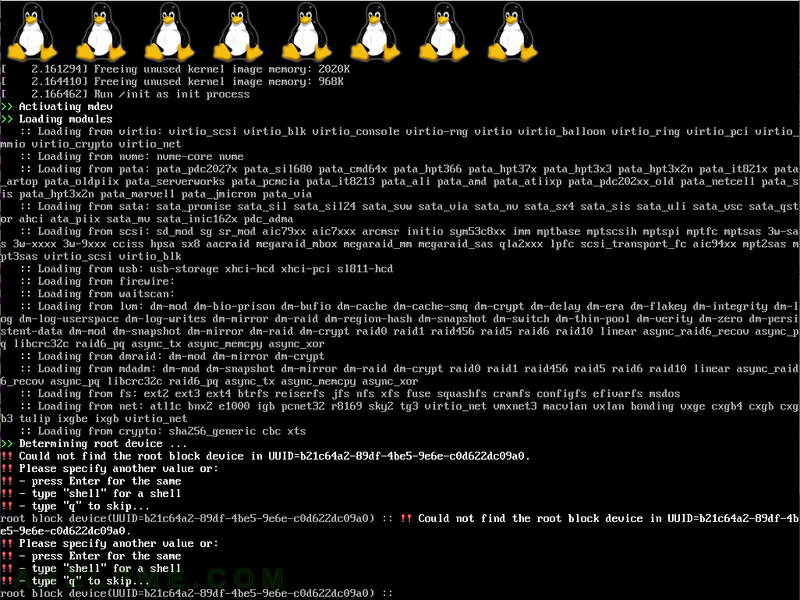 The Linux kernel’s autodetect is not going to work! The kernel will load, but it won’t find your root file system so no init process to start your system! !! Could not find the root block device in UUID=b21c64a2-89df-4be5-9e6e-c0d622dc09a0. add “domdadm” to the initramfs’ additional boot parameters in grub.cfg – the easy way is to add it in /etc/default/grub variable GRUB_CMDLINE_LINUX variable and generate the grub.cfg. In fact “domdadm” is a parameter, which instructs the init script of initramfs to call mdadm with scan and assemble options. You can check it by unpacking your initramfs file and look for “/init” script and “/etc/initrd.scripts”. Hint: do it for the two disks – sda and sdb. You should mount /dev/sda1 (/boot/efi) and /dev/sdb1 (/mnt/efi for example) and copy the all the files from /boot/efi to the /mnt/efi. Systemd replaces the init boot and it starts “mdmon@.service”, which scans and assembles the mdadm devices. So you do not need to boot with this “domdadm” parameter. We also tested in a CentOS 7 system and you do not need this option. As said before this option “domdadm” is only instructing the initramfs init script to call mdadm with scan and assemble.